Swarovski Blog, Kristall Buzz, fantastic Swarovski Crystal Blog for Crystal Fanatics and Casual Collectors alike! 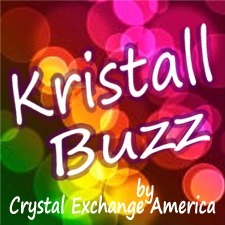 The Swarovski Kristall Buzz is a terrific place for crystal fanatics to subscribe to. This Swarovski blog is frequently updated with factual information about Swarovski-related news. The Swarovski news may be from current events. The Swarovski news may be interesting online auction. The Swarovski blog news may be about rare Swarovski or recently learned information. No matter what the news, it certainly never hurts to have good clean information about our favorite pastime collecting Swarovski. Reading the Swarovski Kristall Buzz blog, maintained by Swarovski Expert contributors is free and easy, so catch the buzz and go subscribe to the Swarovski crystal blog! Whether you have a handful of Swarovski figurines displayed in your cabinet, or you are among the full blown Swarovski crystal fanatics with a room dedicated to your crystal figurines, the Kristall Buzz Swarovski blog will be of interest to you. The highest level of quality information will be maintained. The Kristall Buzz is a trusted source for interesting information ranging from tidbits of information on rare Swarovski, interesting online auctions for unusual Swarovski, news articles, and impending Swarovski releases. Swarovski fanatics can also find terrific information right here at Crystal Exchange America. Collectors can look for Swarovski news at the Swarovski Crystal blog and right here at the Crystal Exchange web site. Swarovski collectors can learn more about Swarovski Logos. Swarovski collectors can ascertain the importance of Swarovski Certificates. Swarovski aficionados discover facts about Swarovski Limited Editions.